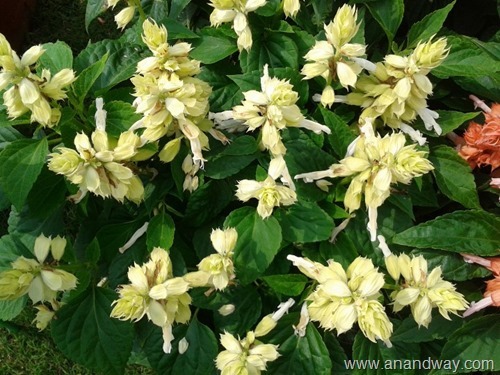 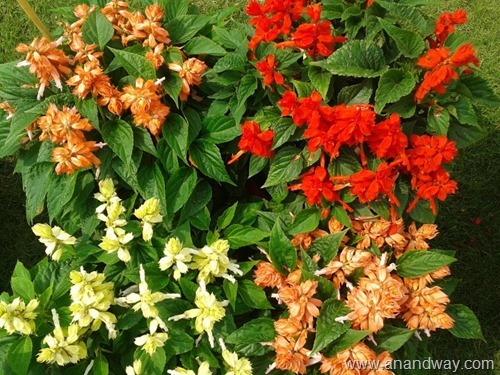 Salvia grows abundantly during winter and early spring in North India. 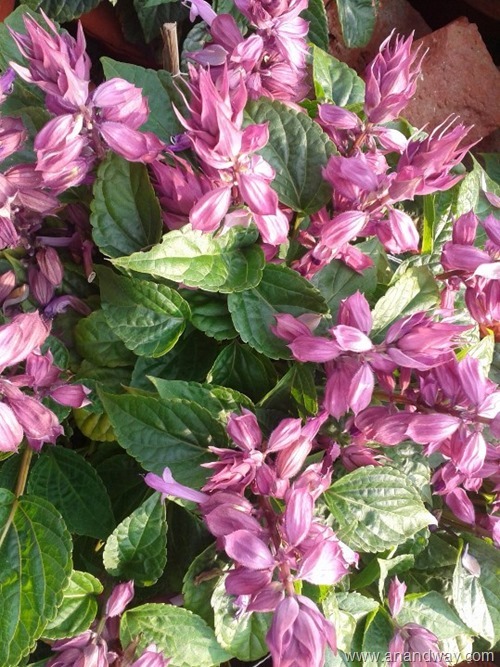 Late spring can be quite hot here. I place my Salvia pots in the South direction in my rooftop garden, along with the red poinsettias as South is the direction for red flowers for prosperity in the house. 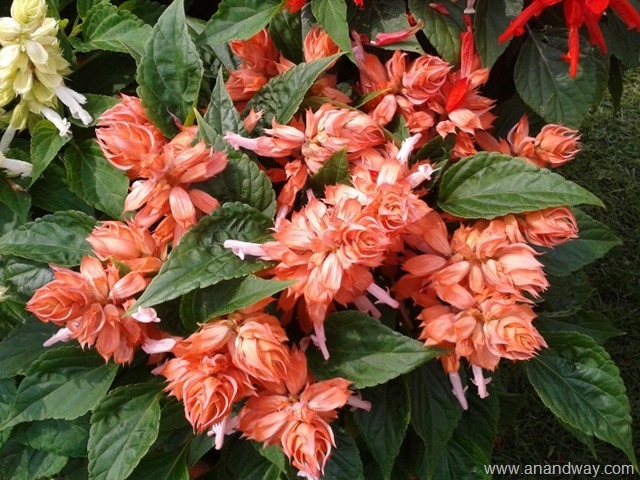 Salvia Splendens remains my favourite as it is a real hardy plant, and requires little care. Lots of sunlight, daily watering (not too soggy) and lots of space to grow (a plant can cover an area of 2 ft around it!) 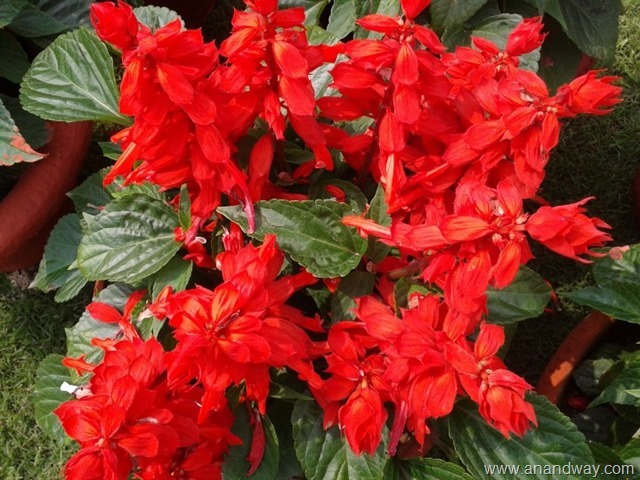 is all it takes to see it bloom in early spring :) It is the most common variety in an Indian garden – red salvia. 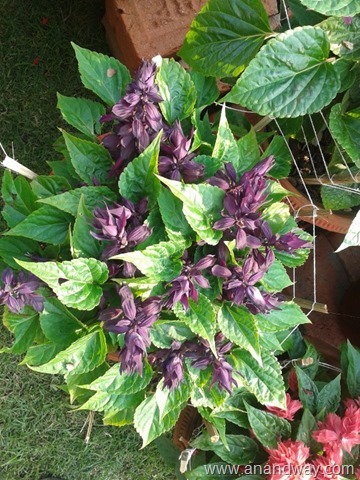 The other colours of salvia are nurtured in nurseries and can be bought as saplings or potted plants. 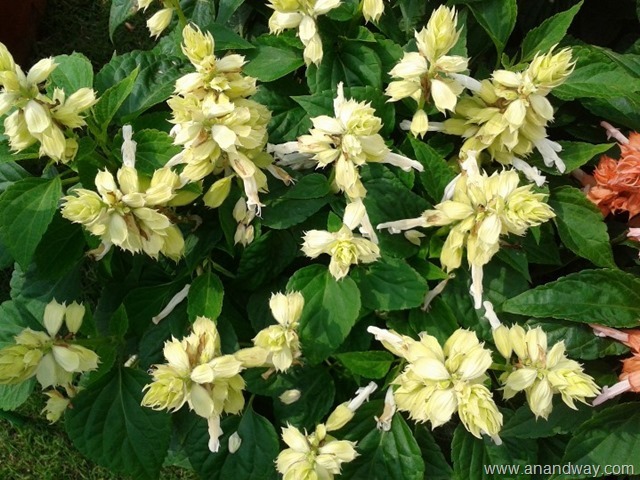 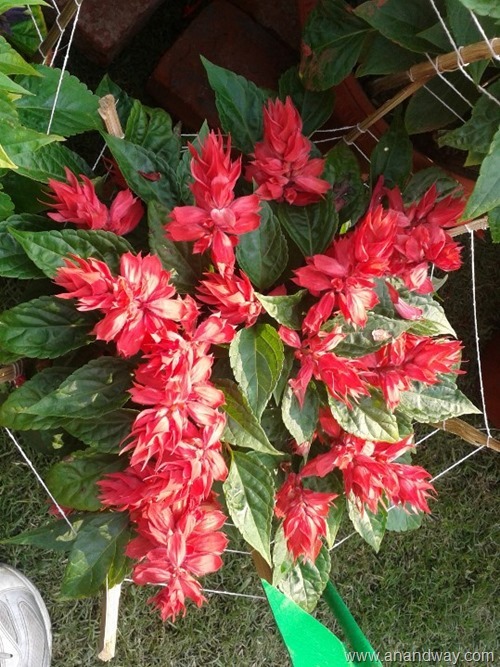 Salvia is available in hybrid varieties in nurseries in Lucknow. Red, burgandy, purple, pink, cream, white, yellow…you have it all!